The peculiar characteristic of the Principessa Pio estate is that it is today one of the few examples of the existence of urban agriculture that characterized the medieval cities. Over the centuries it has not undergone major upheavals: it is like looking out on a window with a fascinating past. It is pleasant to imagine it as a cleft between the past and the present: leaving the mind free to imagine how many vicissitudes over the centuries could tell this portion of the countryside. The Principessa Pio holiday farm is spread over an area of almost four hectares and is completely flat lying as well as all the plains companies but is characterized by being located in the city center of Ferrara and as a natural theatrical background enjoys the presence of the Renaissance bastions of Este that protect it and enclose delimiting an area with unique views for suggestiveness both during the four seasons and in the different hours of the same day. The dawn on the walls or the sunset near the bell tower of the church of San Cristoforo alla Certosa create an emotion, a detachment from the usual temporality that hardly has equal. Given its unique location it offers guests the opportunity to take advantage of a wide range of services that are located near the company headquarters. Today the Principessa Pio estate looks like a farm, a vegetable garden and a garden inserted in the city center and represents the moment of union between the “Green Addition” and the “City”. In fact, the project of the Green Addition, the urban park that has a total extension of about 1200 Ha and is dedicated to the writer Giorgio Bassani, is part of an architectural and landscape system that links the city walls and the Po river in an articulated system of green areas equipped for leisure, recreation and agricultural production. Finally! 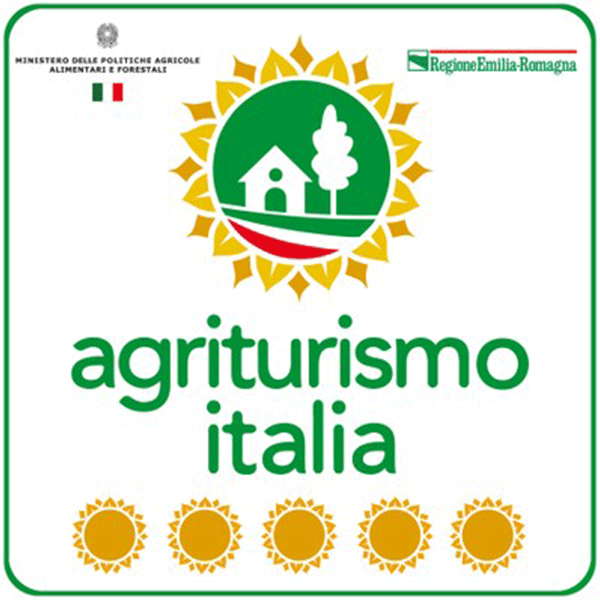 After a very long process, the system of Italian farms has been classified in “Girasoli” with the Law 96/2006. A single symbol that applies to the whole peninsula! The classification of farms, as already happens for the classification of hotels, gives the public a “general idea of ​​maximum” of the level of comfort (comfort of reception), variety of services (reception animation) and quality of the environmental context (nature, landscape, tranquility) that each company is able to offer. Like the stars for the hotels, even the sunflowers for the farms range from 1 to 5. And Princess Pio has received 5! Principessa Pio, the top of the farm in the historic center of Ferrara! We believe in the courtesy and pleasure of being together. We would like to come to Principessa Pio was like staying with the family, with the warmth and hospitality that distinguishes the farm without, however, failing the professionalism of the service we offer.